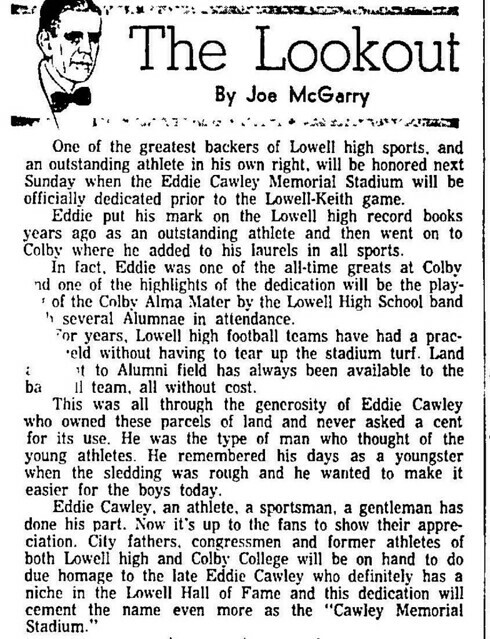 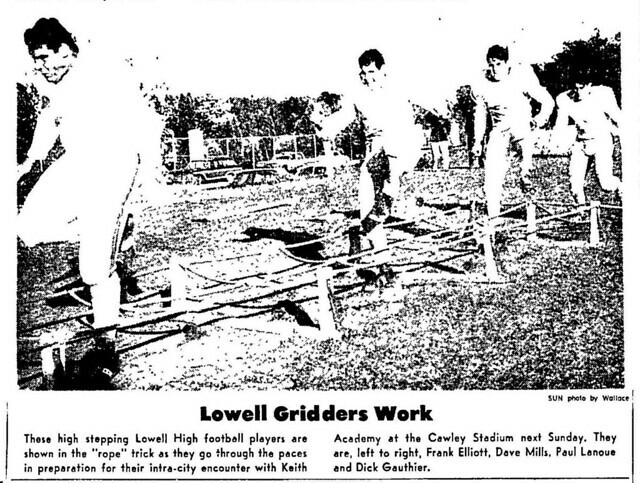 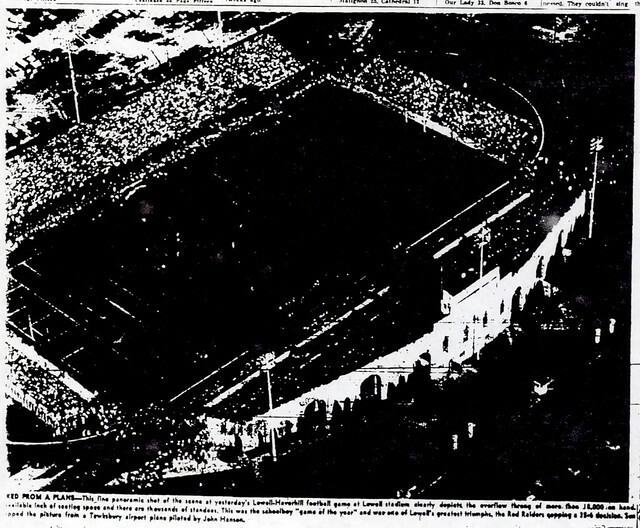 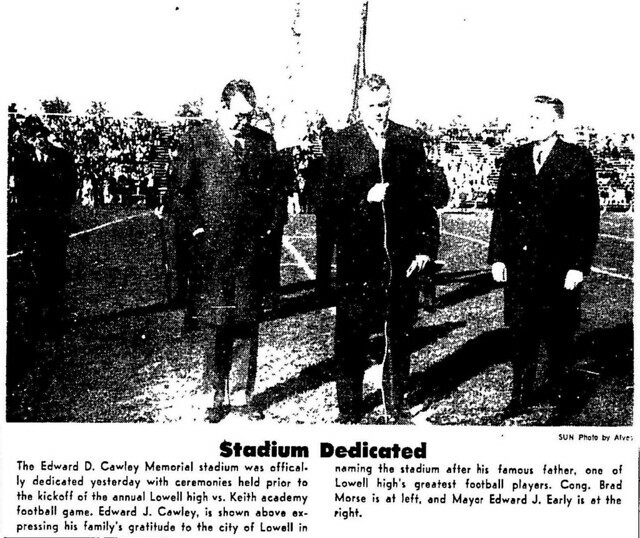 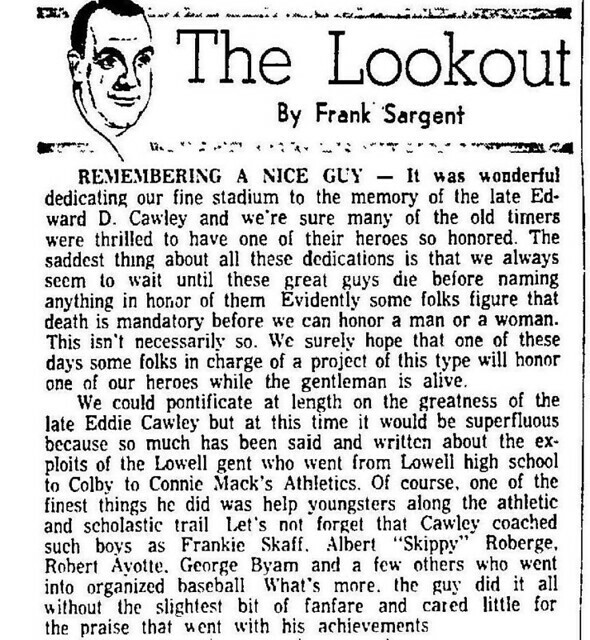 His name memorialized on the walls of Edward D. Cawley Stadium in Lowell, Eddie Cawley gained a considerable reputation athletically not only in Lowell but also in the state of Maine, where he starred for Colby College. 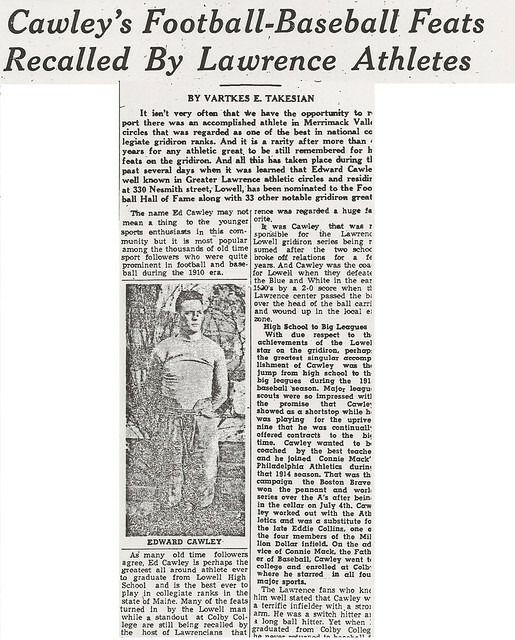 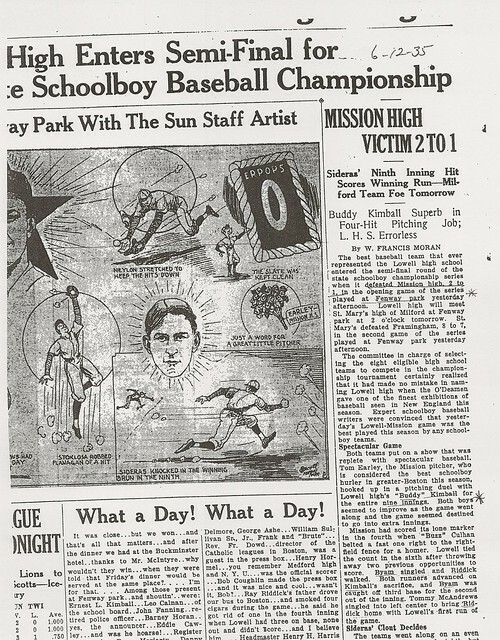 A three-sport star at Lowell High School from 1909–1912, Eddie stood out in football, track, and baseball for the Red and Gray. 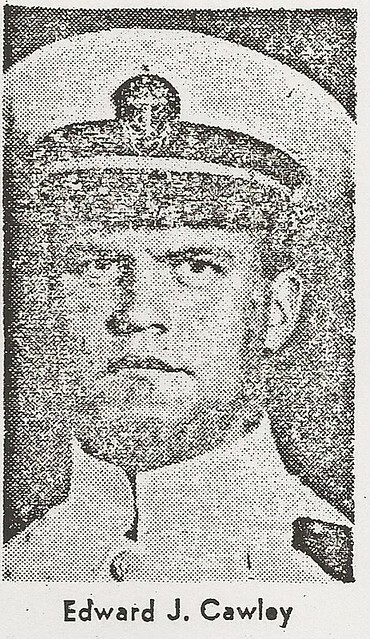 He was the leading ground gainer and a top-notch defensive back and Captain of both the football and baseball teams in 1912. 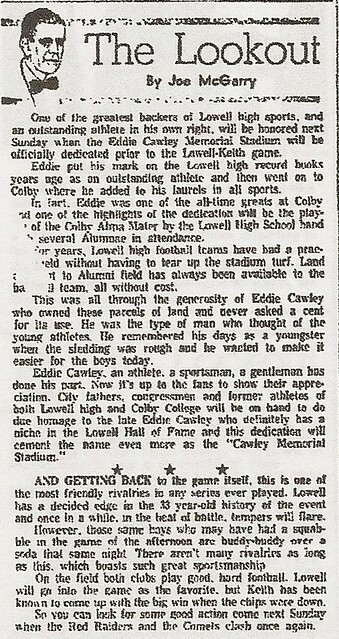 Upon graduation from Lowell High School, Eddie, a standout shortstop, joined the Philadelphia Athletics under legendary Manager Connie Mack. 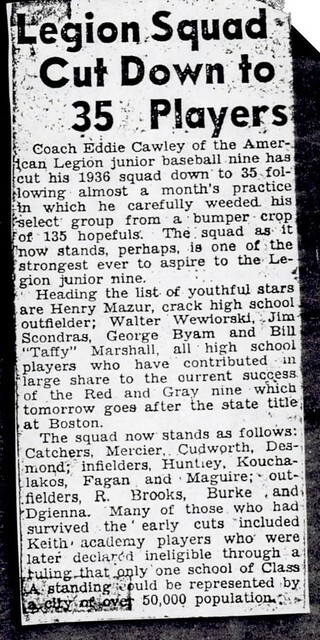 After a brief stint in the Major Leagues, he enrolled in Colby College. 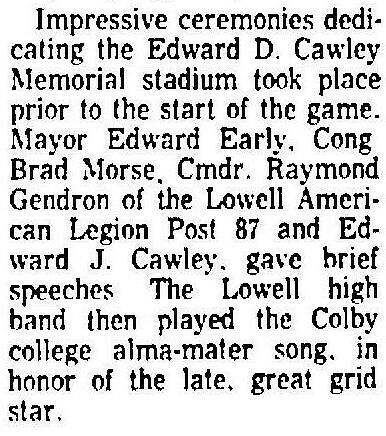 At Colby, Eddie once again became a multi-sport star, making his greatest impact on the gridiron. 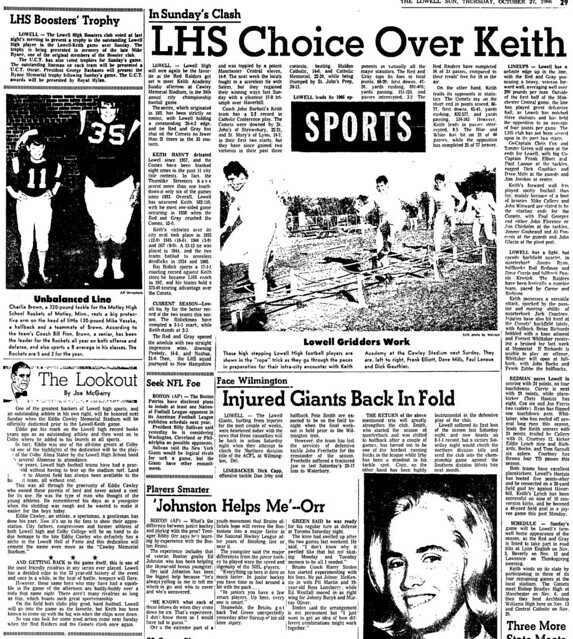 A four-year starter for the Mules, Eddie was a legitimate triple threat–passing, running and kicking as a quarterback, halfback, and fullback. 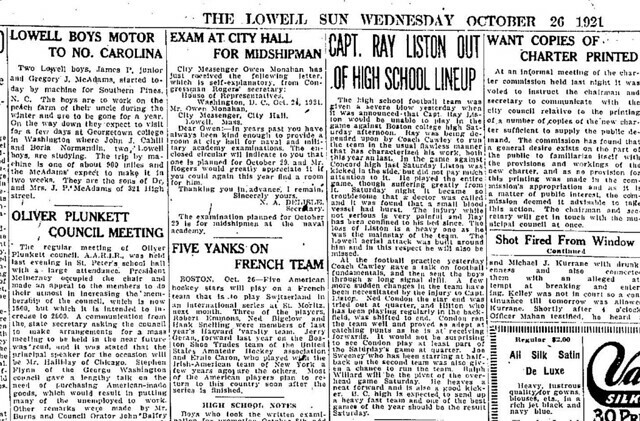 Eddie was a standout on the legendary 1914 Colby team and captained the 1915 and 1916 Elevens. 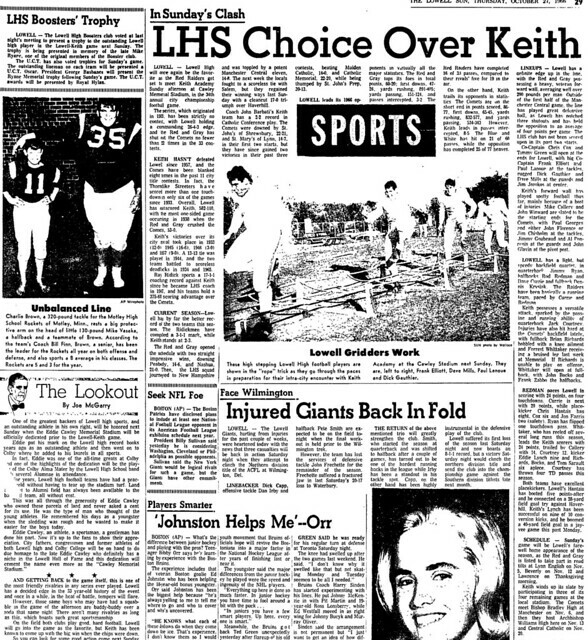 He capped off a brilliant career by being named an All-East selection and receiving Honorable Mention on Walter Camp’s All-American Team. 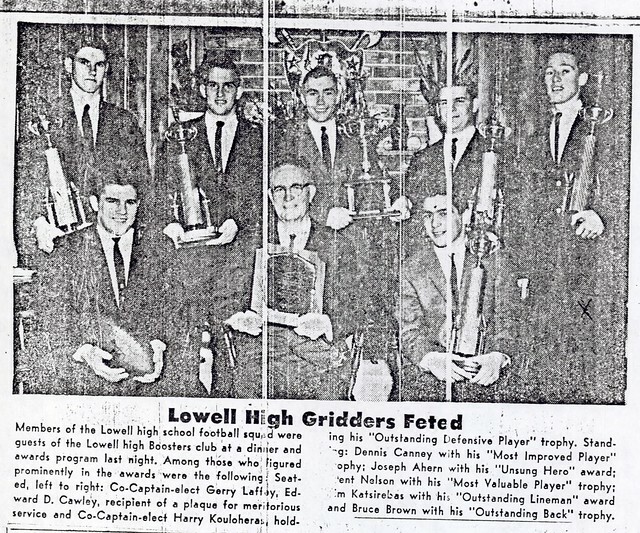 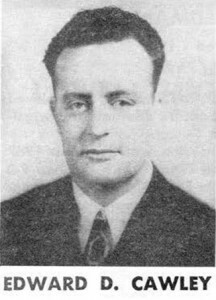 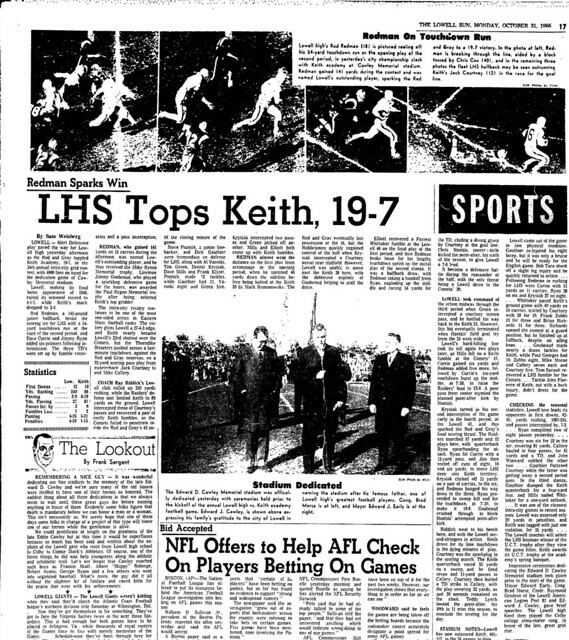 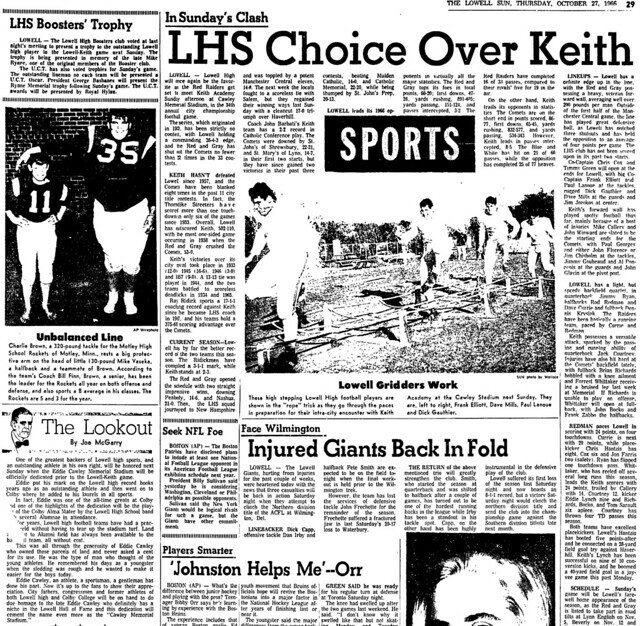 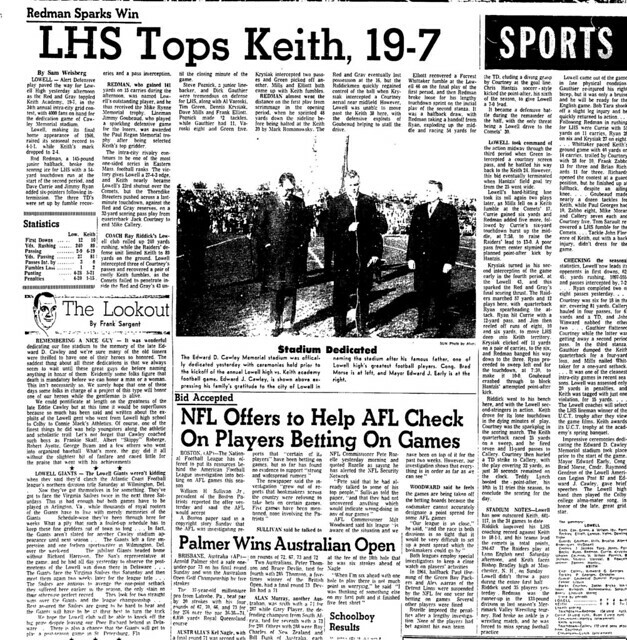 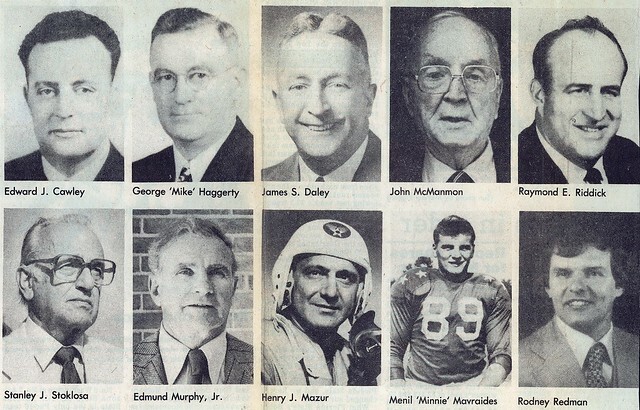 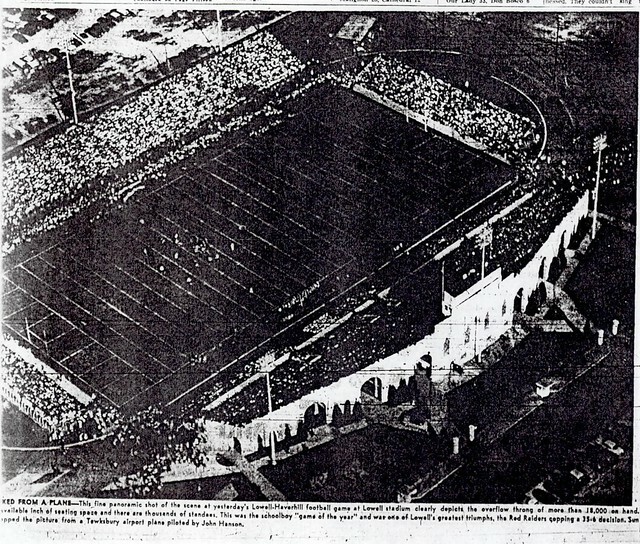 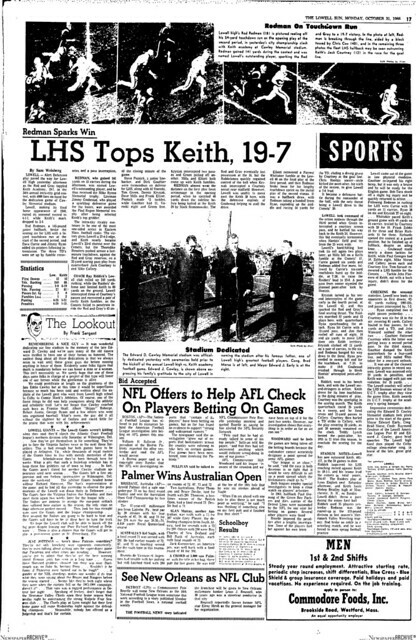 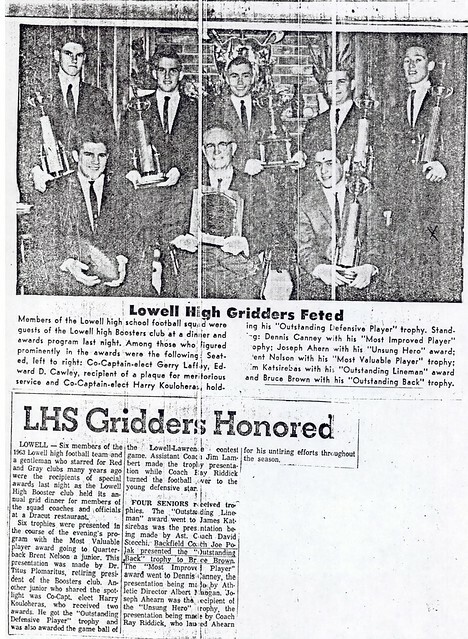 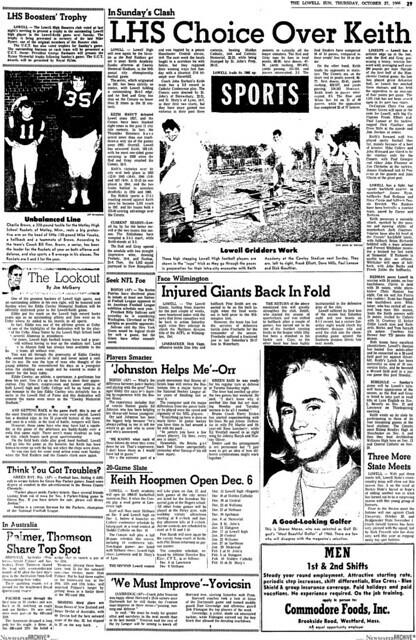 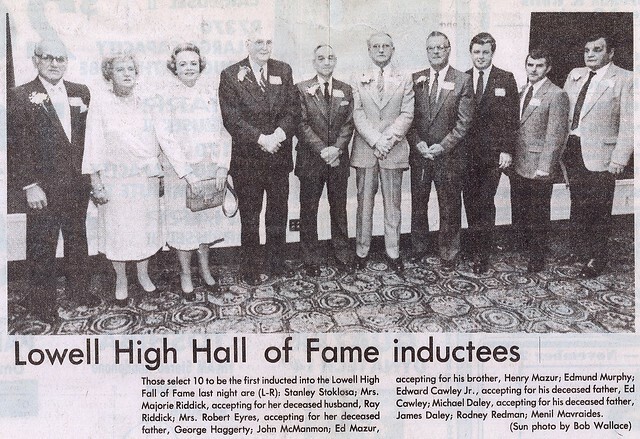 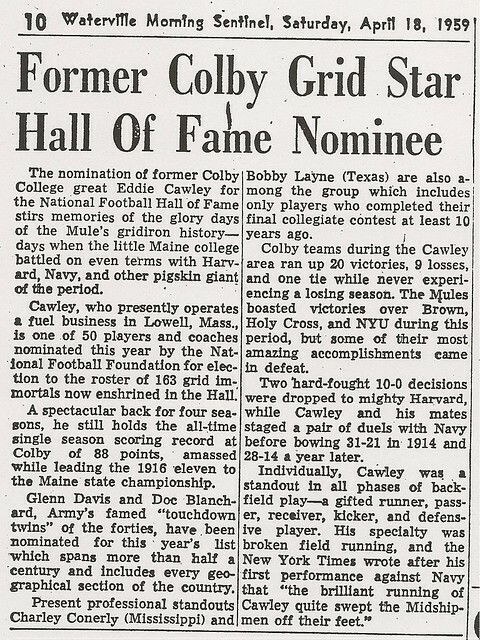 Still the leading ground gained and scorer in Colby College history, Eddie was nominated for the National Collegiate Football Hall of Fame in 1959.